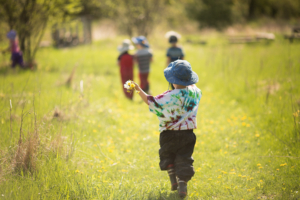 Prairie Hill Waldorf School offers Waldorf inspired summer programs for children 3 years to 7 years of age (children must be daytime potty trained). Join our experienced Early Childhood teachers and their enthusiastic staff for fun in the sun, joyful play and creating! Participants will enjoy fun themes for each week. Nourish your child’s inherent connection to nature and enliven a sense of wonder!